Volunteers are the driving force behind any fundraising group, regardless of its mission. Even if you have paid staff, your core group of volunteers are essential to your survival. But people seem to be busier today than ever. Two-income families are the norm, with both husband and wife working full-time just to make ends meet, and there is just less spare time to go around. Few people can afford the luxury of devoting a substantial number of hours on a regular basis to a volunteer effort. Nonetheless, you can get, and keep great volunteers. The first place to look is within your immediate community. There are people who are close to your group in one way or another. Maybe they are parents whose children benefit from your program, or somebody who has been served by your group in the past. This is the first and most natural place to look for volunteers. Suppose for example, that you have an organization that helps people get on their feet with job search assistance; once your clients are gainfully employed, many of them may want to give back to the system that helped them out. And of course, groups that cater to youth have a natural volunteer audience in parents of the youth that are served. A second, but often overlooked resource can be found on any college campus. 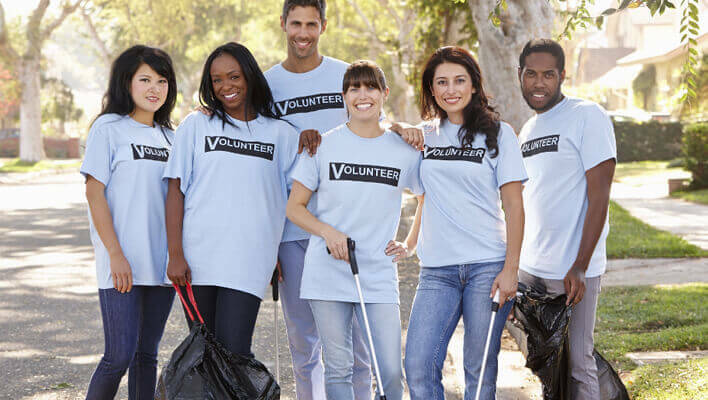 College students do have more time and energy to devote to volunteer organizations, and tend to be more excited and devoted to causes than are older people who are already in the work force. Students may also be looking for volunteer gigs to enhance their resumes, or meet a class requirement. Put up a notice in the college newspaper, and get a list of student groups that exist on campus to see if any might be compatible with your mission. Also, many communities have a "volunteer network" of some sort that matches up volunteers with organizations. The network may consist only of a listing in the newspaper, but it can be a valuable resource. Seek out this network and make sure that your group is a part of it. Once you've got them, you're not finished. Volunteer groups have a high turnover, and you have to do your best to keep your best volunteers on board. The first and most important key to keeping good volunteers is to pace their activity and don't overwork them. In the beginning, some may be very zealous and eager to put in as many hours as they can, but be very cautious here. Even if they're willing, it's very easy for a volunteer to get burned out too quickly if they have too much to do. Start out slow and add on tasks and hours gradually to try to find each volunteer's optimum level. While some volunteers may thrive on putting in twenty or thirty hours a week, others will quickly crash and burn at that level. Next, make the atmosphere social. It may be easy to give a volunteer a pile of papers and a task to take home with them, but that defeats the purpose of why most people volunteer. They do it to get out of the house! Don't send them back there to be alone with their tasks. Always try to have volunteer activities done in groups of two or more people. If the work must be done in somebody's home, trade off locations periodically so no one volunteer has to be host all the time. Go the extra step to make your volunteer group a social group as well. Second, small rewards go a long way. Getting all the volunteers together one night a week for a small social outing, even if everyone pays their own way, is almost always welcome. That evening out at the coffeeshop with the other volunteers may be the only social activity some of your people have, and they will look forward to it all week. Third, recognition is important. Things like annual recognition banquets are always great, but even smaller things like pins, bill caps or tee-shirts with the name of your group, or coffee mugs are treasured items that your volunteers will appreciate.